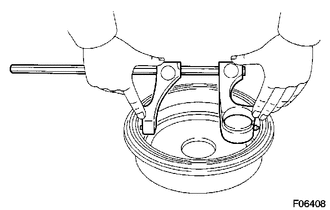 (a) Using a brake drum gauge or equivalent, measure the inside diameter of the drum. If the inside diameter is greater than the maximum, replace the brake drum. 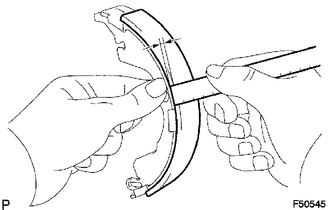 If the lining thickness is the minimum value or less, or if there is any severe or uneven wear, replace the brake shoe. 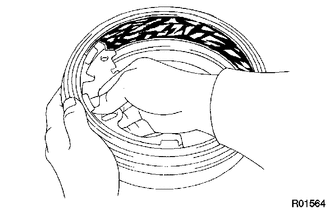 (a) Apply chalk to the inside surface of the drum, then grind the brake shoe lining for proper fitting. If the contact between the drum and the shoe lining is improper, repair it using a brake shoe grinder or replace the brake shoe assembly. (a) Check the cylinder bore and piston for rust and scoring.